I have another AMAZING cover reveal for you today! 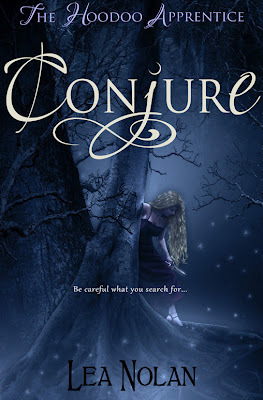 CONJURE by Lea Nolan (Entangled Publishing) which has a release date of the 24th September 2012. Five winners will be selected at random across all participating blogs to each receive one digital advance readers copy (ARC) of CONJURE as soon as it is ready for release. Winners will be selected on 8/27/2012. Digital ARC contest is open to international entrants.